The PACIFIC: what’s in a name? 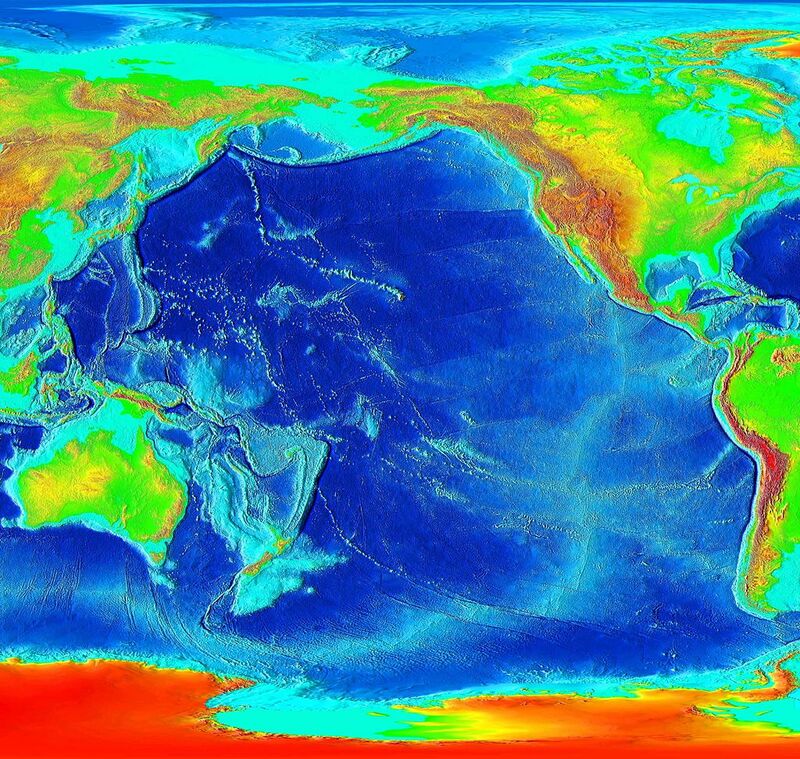 The Pacific Ocean with a total area of 166.2 Million km² covers about 46% of the Earth’s surface, and reaches the deepest point at 11,033 m below water, which is enough to submerge Mount Everest or Mount K2 by more than 2,000 m.
When this magnificent Ocean was first sighted by Europeans in 1513 through the eyes of Vasco Nuñez de Balboa, after having crossed the isthmus of Panama he named it “El Mar del Sur” – ‘The Southern Sea’, because he was facing in that direction. 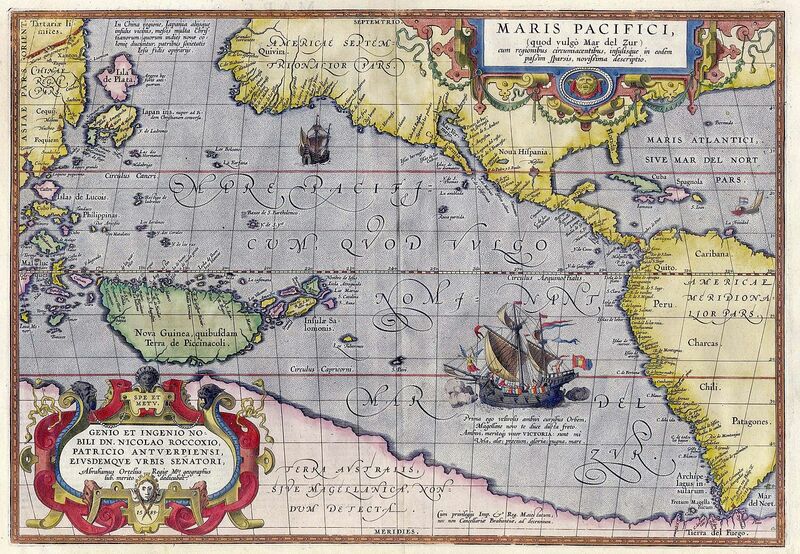 Eight years later, the Portuguese explorer Ferdinand Magellan sailing on a world circumnavigation expedition, to discover new trade routes and new worlds for Europe, named this ‘Southern Sea’ “el Mar PacÍfico” or ‘The Pacific”, ‘The Peaceful Sea’ after rounding Cape Horn, at the tip of South America, under terrible stormy weather and huge seas where three oceans collide, and finding calm seas as he entered what is now known as ‘The Pacific Ocean”. Is it really ‘peaceful’ and ‘pacific’, this ocean we are referring to? I really thought so the first time my wife and I flew around its northern fringes on our way from California to Japan. This impression was confirmed when I first flew from Los Angeles to Hawaii on a calm November afternoon and I could hardly see a ripple on the peaceful Pacific waters below until our big jet descended for a landing at Honolulu International. Peaceful indeed! But that perspective of peacefulness has changed as my work related to tropical cyclones has progressed. Now I know that, as an average, based on a historical record going back over 150 years, more than 47% of all tropical cyclones worldwide are generated in some corner of the Pacific Ocean on an annual basis, and also some of the most violent storms. While the eastern east Pacific sub-basin, off the coasts of Mexico and Central America, seems to generate quite a bit of cyclonic activity year in and year out, it is the far northwestern Pacific, starting over the central Pacific and the Philippines Sea, and moving over the south China Sea and the Yellow Sea, that really generate a large number of tropical cyclones every year, certainly a much more than any other cyclogenesis sub-basin in the world. 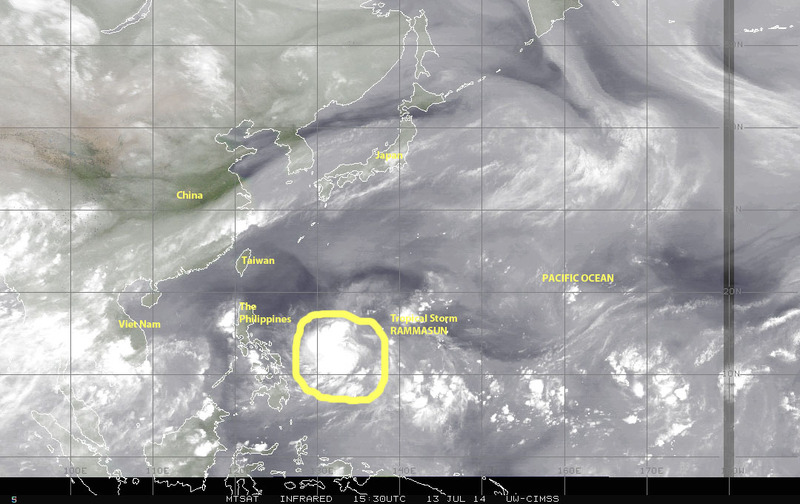 Currently we have tropical storm RAMMASUN over the western Pacific moving in the general direction of Manila, capital of the Philippines. And, in the same neighborhood we just recently had Super-typhoon NEOGURIS affecting Taiwan and Japan just last week. Farther to the east of this cyclonic activity, near the coast of southern Mexico and Central America, we see the entire region from northern South America and Panama all the way up to just south of the Baja California peninsula populated by a persistent ensemble of tropical waves and disturbed weather cells, the norm in recent years, which has already contributed to generating five named-tropical cyclones in the 2014 east Pacific Hurricane Season that only started on 15 May. 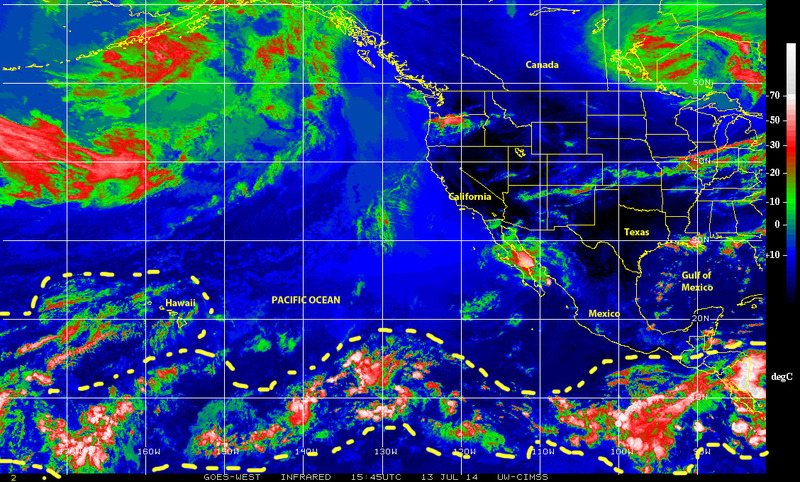 So much for being named PACIFIC, for a basin that generates so much cyclonic activity year after year. A region that also triggers major natural factors such as ENSO, El Niño Southern Oscillation and La Niña, the Madden-Julian Oscillation, and the Pineapple Express that influence so much of the North American weather and also have a mostly dampening effect on cyclogenesis in the Atlantic basin. 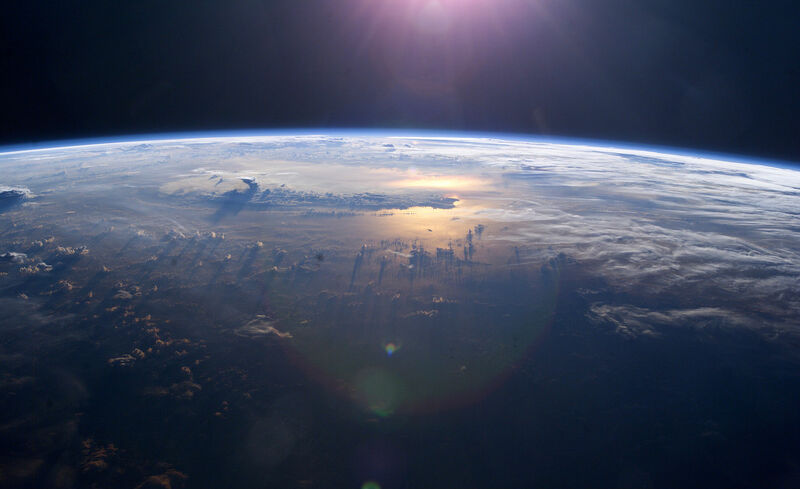 It would appear, empirically at least, that as the effects of global warming have continued to be felt and the heat energy content of the Pacific Ocean increases proportionally, together with the capacity of the atmosphere for retaining moisture, the potential for cyclogenesis across this large basin has also kept pace. Only time will tell, but based on my own observations over the past 25 years or so, the name of Pacific is a misnomer at best for this large and wonderful ocean.